Fall is here and for me it is the best time of the year. I feel like getting outside more, setting out trail cameras to see what might come by. 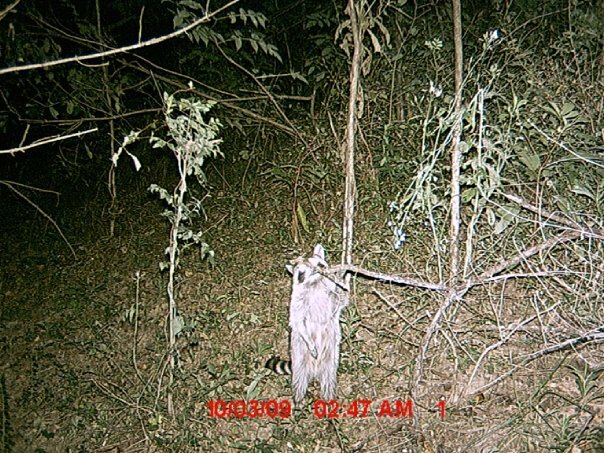 I do not necessarily have to be hunting at that time because even near the house, it is fun to find out just what might be lurking by. Here are some fall photos to get you in the mood for the cool, crisp air and maybe motivate you to head outdoors to enjoy nature. 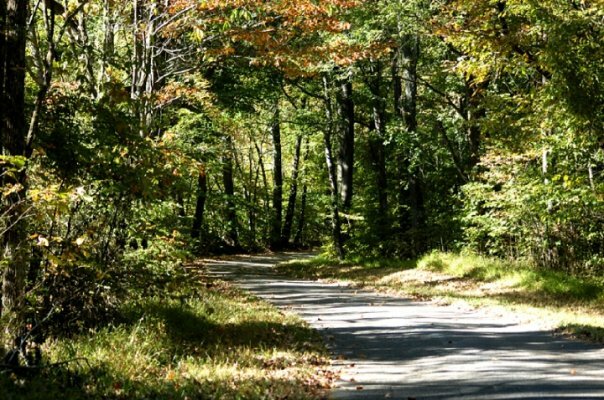 Nothing better than walking down a trail in the early fall. Fall is a beautiful time of year, the leaves are changing colors and falling and although it seems like everything is dying, there is much more to Fall than that. In the country, you never know when you will see something. 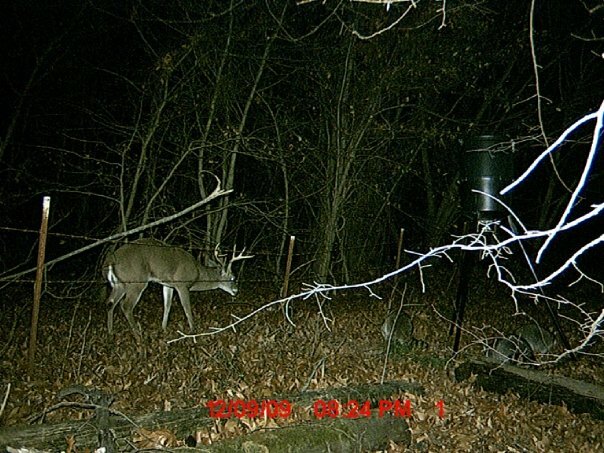 Having a trail cam, less than 50 yards from your home will give you an idea of who comes to visit after dark. 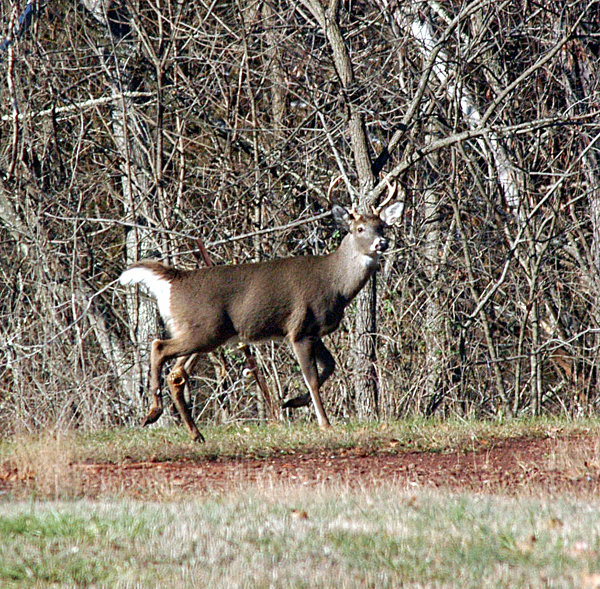 Bucks in the fall lose the velvet from their antlers and prepare for the breeding season. 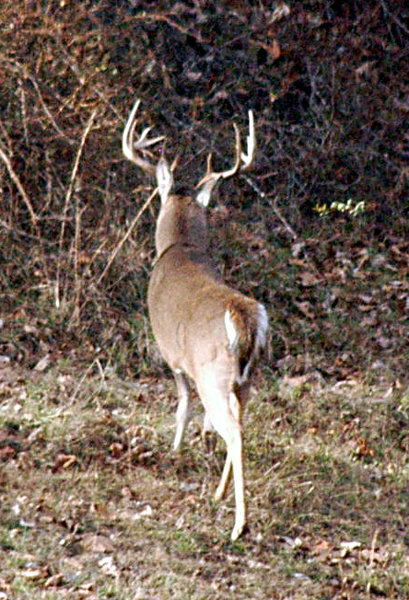 If you look long and hard enough, you will come across a large buck, like this 10 point. 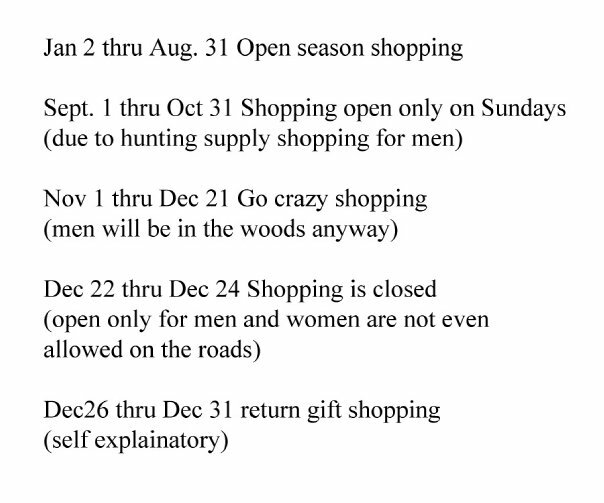 Here is a schedule for you and your spouse, we all know there are seasons for all of us! I hope that you enjoyed the photos, now get out and enjoy what nature has provided, it will make you forget all the problems in the fake world! So, you like nature, you like photography but you don’t have time or money to get out in the wilderness to try and capture the beauty of nature in photos. Well, nature is everywhere, in your garden, around your house and pretty much anywhere you are. The key to photographing nature is to always have your camera ready. It doesn’t have to be an expensive camera, a point and click will work in most cases, but the more you get into it, the more detail you want to capture, might prompt you into investing a little money to buy a better quality camera. Still, the most important part of nature photography is not the quality of camera you are using, but watching out for that right moment to take a photo. I am not going to go into what kind of camera’s to use, or how much money you should spend, that is up to the individual. Instead, I am going to tell you what to look for around your home so that you can get some really cool photos. 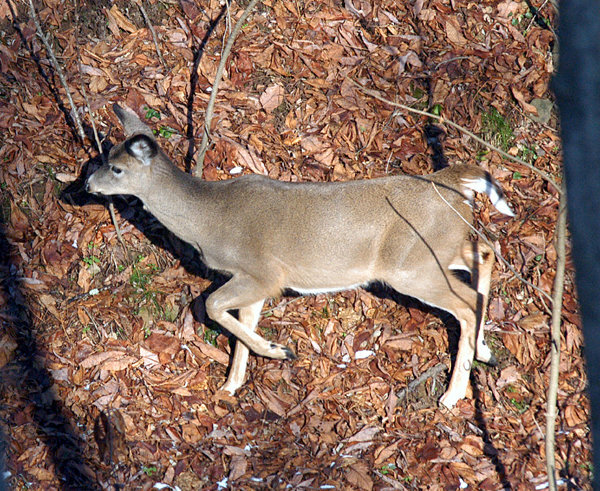 I live on 1.5 acres of land in a rural area, so it gives me the opportunity to have room to be able to walk around and look for nature close by. Take for instance, your garden. There is no better place on earth to take photos of some of the most colorful and raw nature there is. From the garden spider to the tomato worm, you can get breathtaking beauty as well as raw nature by setting up in your garden and taking photos. 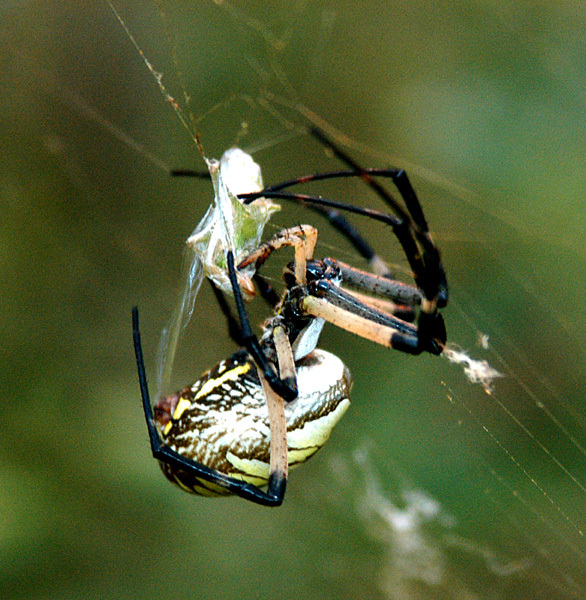 The garden spider will put a web between plants and catch insects that are harmful to your garden for food, so it is a win-win for everyone. Sometimes you need to catch an insect and throw in the web to get some action when you want it, but when you do, make sure you are ready, because it happens fast! 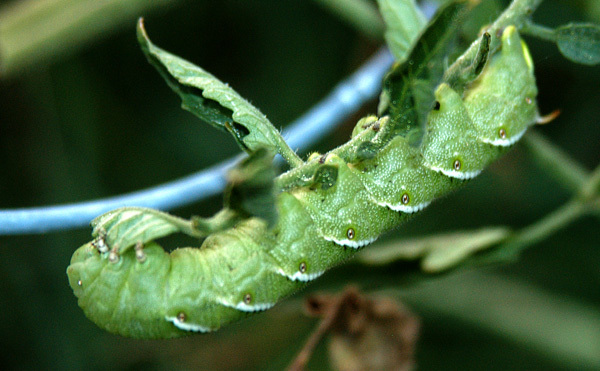 The tomato worm on the other hand, eats your tomato plants, but the color and beauty of this insect will amaze you and you will find yourself snapping photos instead of worrying about your plants. If you have a large yard, then you probably have a grass clipping pile. This is a great place to get photos of all types of creatures. 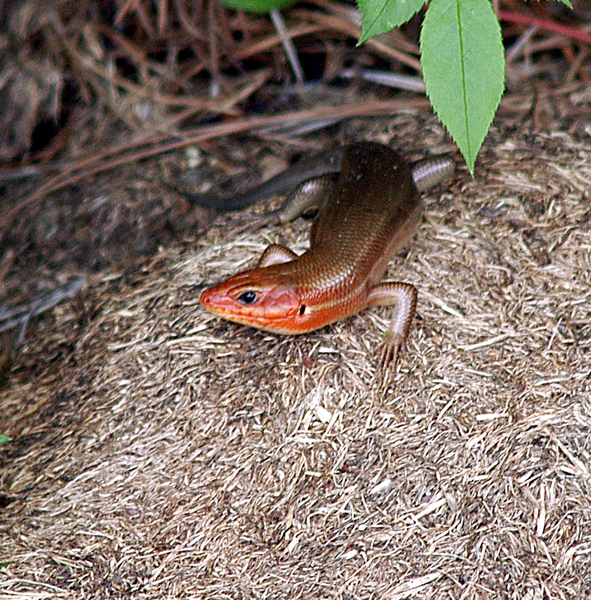 As I was mowing one day, I passed my grass pile and there was a very large broad-head skink. 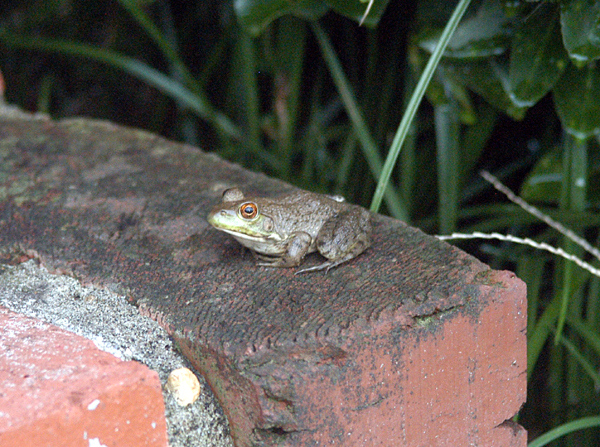 The color and size caught my eye, so without scaring it, I shut off the mower and grabbed the camera. 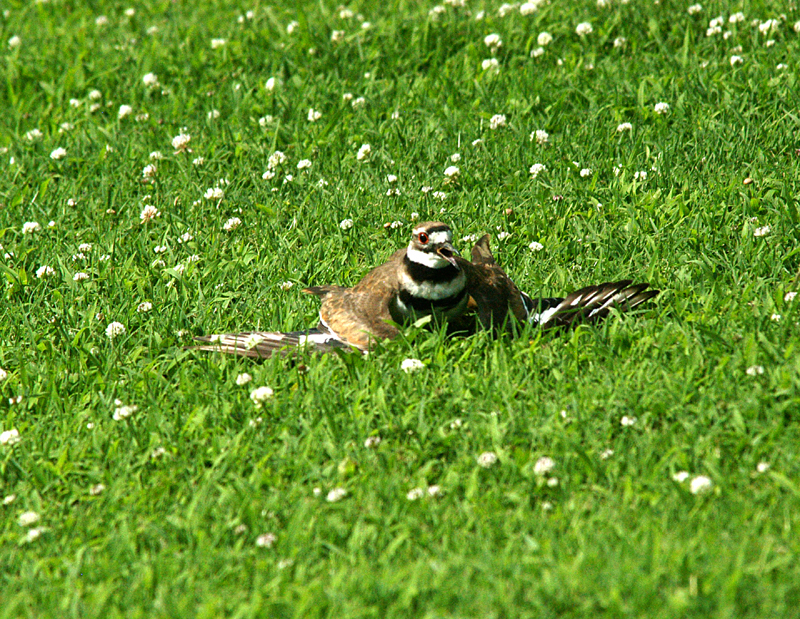 Anyone who lives in the country has most likely seen a killdeer in their yard. The Killdeer in the photo had decided to lay eggs in my driveway (in the warm gravel). The great thing about killdeer is, that if you approach the eggs, the bird will try to lure you off by acting like it has a broken wing and can’t fly. It will get you as far away from the eggs until it feels it is far enough and then it will quit acting. It will continue to do this until you leave the eggs alone. The killdeer always gives great photo-ops. Even if you are not near water, you never know who will visit your porch. There is also another way to capture nature on film though you don’t actually take the photos yourself it is fun to see what comes around your home when you are not looking. 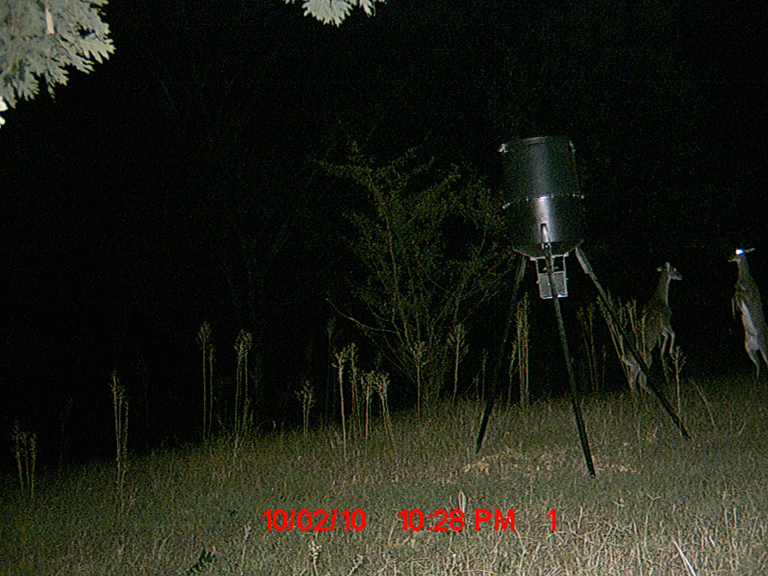 Now mind you, I set up a trail camera aimed at a deer feeder. Expecting deer of course, I was pleased when photo I got was unique in the fact that it was two does (female deer) sparring in the early fall. It is not every day that even hunters see action like this. The only time you want to actually have a good quality camera is when you try to get photos of the sky at night. When the super moon comes in the early spring, it can provide you with a great opportunity to get some great shots (weather permitting of course). 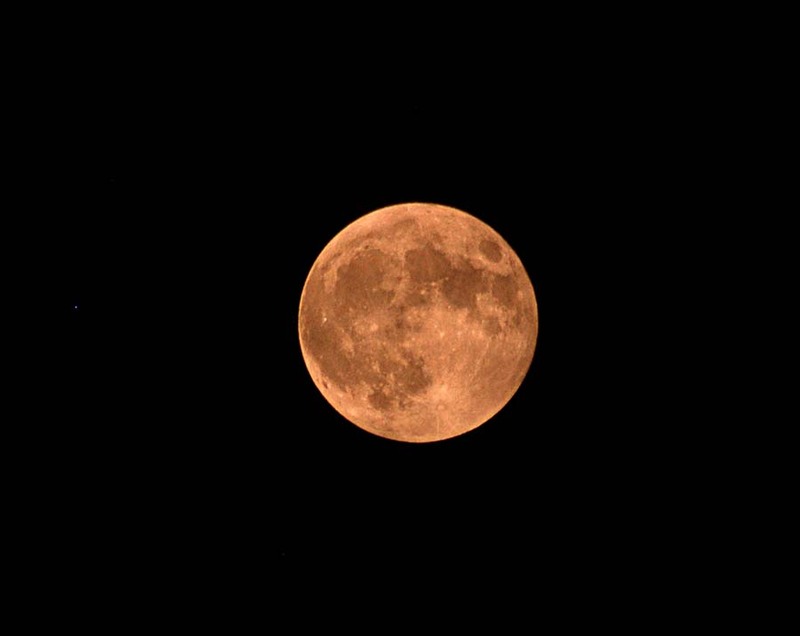 But taking photos of a full moon is much different than taking photos during the day, especially with digital cameras. The great thing about the super moon is that it really doesn’t move much and gives you plenty of time to get your camera to the correct settings to get some great photos. I used a Nikon D100 with a 70mm to 300mm lens to get this photo. Last but not least, the best subject to photograph around your house is your own pets. You never know when they will do something crazy or give you a great pose that defines their character. 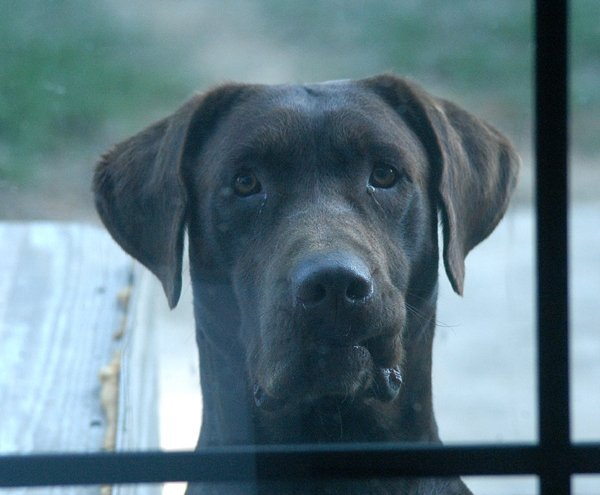 Buddy, my chocolate lab decided he would channel Elvis as he looked in the kitchen window. Pets are always doing something and even though they don’t always sit still for photos, the best thing to do is have your camera ready. So there you have it, this is what I look for when I don’t want to drive 20 miles to the state forest to look for nature. It is out there, within steps of your house, all you have to do is be ready and look for it. One other thing, and probably the most important thing is, take a lot of photos. You never know when one of the photos will be an award winner and since digital photography came along, you don’t have to wait to develop. Enjoy nature, it is all around!